David began his working life in 1977 as a contract concreter and steel fixer in the residential and light commercial sectors of the construction industry. In 1984 David began working in the construction materials industry, initially as a plant/operations manager in premix concrete, then a supervisor in hard rock quarries. In 1994 David took on the inaugural and challenging role of Safety Manager Vic/Tas for CSR Readymix. 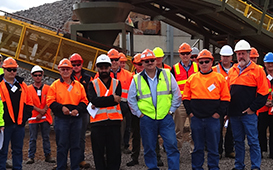 In 2004 David became the National OHS Manager for Rinker Australia (now Holcim Australia) overseeing OHS Risk, strategy and performance for all Concrete, Quarries and Humes Pre Cast operations across Australia and for a period of time in China. David left Holcim Australia in 2012 establishing Safe Mix in 2013 and has since worked closely with many Australian and New Zealand workplaces inclusive of family businesses, industry associations, law firms, public companies and local government. Safe Mix is a Workplace Health and Safety Advisory business with a primary objective of providing OHS support to the Construction Materials Industry. 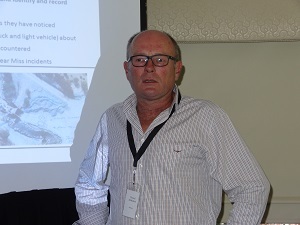 David holds a Graduate Diploma of Occupational Hazard Management, Quarry Managers and Shot Firers Certificate and is a Graduate of the IMD OHS Leadership Program undertaken in Lausanne Switzerland in 2010. Working as a concreter, operations manager and safety manager has provided David with a unique insight as to what is required to bring people together to reduce risk and achieve sustainable safety results in a collaborative and respectful manner. 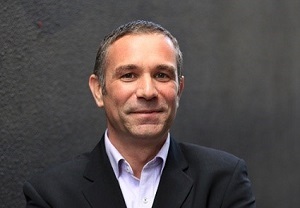 Alexis Valenza is the French born director of Valenza Engineering, a Melbourne-based consultancy providing technical and advisory services to the mining, construction, water resource and contaminated land industries, in groundwater and related environmental science. Alexis has 23 years’ experience working as a Hydrogeologist on complex projects, and is dedicated to delivering innovative problem solving and high level technical precision to clients who appreciate his holistic approach to water management. Alexis has worked in Europe, Africa, Middle East, South-east Asia and Australia. Alexis speaks French, Italian and English, loves sailing, bushwalking and photography. Rowena Cairns is the Business Manager at Galesafe Weighing. Rowena’s role is broad and includes Project Management, Customer Management, Accounts, Administration, HR, and is certainly a role that is variable and interesting every day. Rowena has just completed 10 years in this role, and enjoys the multitude of challenges it brings. Rowena has served on the CMPA Committee for a number of years now. 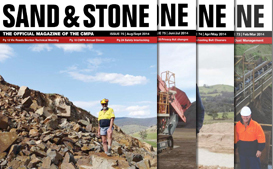 She finds it interesting being part of the quarrying industry as she also has a background in Geological Engineering. 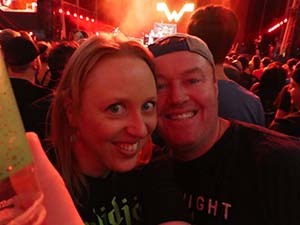 In her spare time Rowena can often be found in her “happy place” enjoying rock concerts with her friends or partner in crime, Jim.